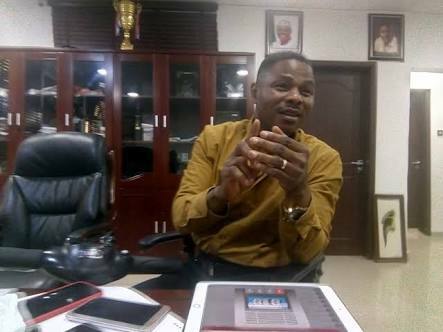 Popular singer, Yinka Ayefele, is in the news again and this time it is because his property which is estimated at over N800m is on the verge of being demolished by the Oyo State government. Speaking to Saturday Beats through his publicist, David Ajiboye; Ayefele said that the move to demolish the edifice which houses his radio station and music studio is politically motivated. Ajiboye quoted verbatim the statement made by Ajimobi when he visited the studio in October 2016. “Their final recommendation was that since the developer had deviated from the approved building plan, it automatically meant that the building is not covered with an approval any longer. Ajiboye further told Saturday Beats that Ayefele’s company is not worried over the development and is not prepared to beg the government. He said, “We are not losing sleep over this incident. It is beyond Ayefele now and we are not prepared to plead with them. If they want to come and demolish the building, they should come but we are not occupying the place illegally. What was the government looking at since for over 10 years? This government has been in power for seven years. “If they demolish the Music House, it means they don’t have respect for the rule of law. The commissioner for information had told us to change some of our analysts because they are too harsh on the government but that is against the ethics of our profession in this radio station. The commissioner for information and culture said this about two months ago before all these started; so we were not shocked when the commissioner started making this move against us. We were ready for the attack but we didn’t know the angle they would hit us from,” he said.